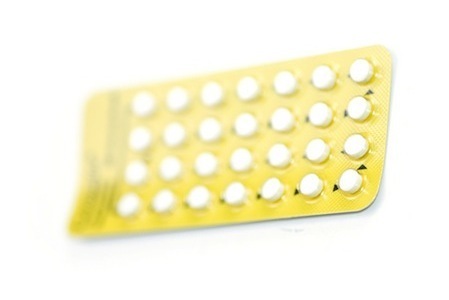 The risk of developing certain forms of cancer can be decreased by using hormonal birth control however it is important to note that there are also forms of cancer by which the use of birth control can increase its development. When a woman is at risk for developing either ovarian or endometrial cancer (cancer of the uterus), the use of birth control pills can significantly decrease a woman’s risk of developing the disease. There is a 10-12% decrease in ovarian cancer risk after 1 year of being on oral contraceptives with an estimated 50% decrease after 5 years of use. When discussing women who are at risk for developing ovarian cancer due to a mutation in the BRCA1 or BRCA2 genes, there are conflicting reports, as one study revealed a decrease when oral contraceptives were used and the other did not. In 2009 however, revealed that women who took oral contraceptives with a BRCA1 mutation cut their risk in half as opposed to those who did not take the pill. The use of oral contraceptives also has exhibited a protective effect on the development of endometrial cancer and continues even after a woman stops using the pill. Important to note is that the protective benefit increases the longer a woman takes the oral contraceptive pill. Just as the pill offers a protective effect on ovarian and endometrial cancers, it is important to note that it can also slightly increase a woman’s risk of developing other cancers such as breast, cervical and liver cancers. There is also a higher risk of developing non-cancerous liver tumors with the use of oral contraceptives. Your personal risk should be discussed with your healthcare provider to determine if the benefit of using oral contraceptives outweighs your personal risks for developing other form of cancer.